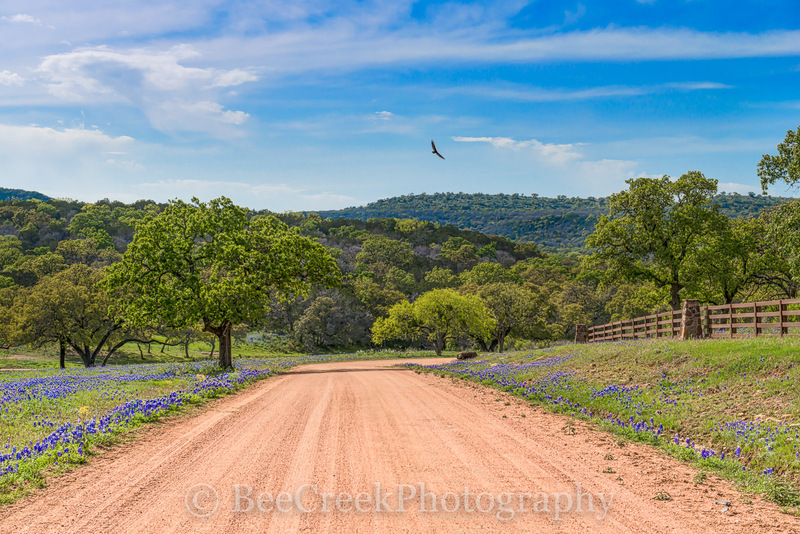 Texas Hill Country Bluebonnets - We captured this landscape image of the Texas Hill Country down this dirt road with some bluebonnets along with a turkey buzzard flying in the blue sky. We thought it was a nice landscape of the Texas Hill Country in spring time. Photo © copyright by Bee Creek Photography - Tod Grubbs / Cynthia Hestand.